Learn to develop positivities and eradicate negativities during MBA. Graduates from various streams like science, arts, commerce and engineering take up MBA course in the hope of achieving better career and greater success and happiness in life. MBA course covers subjects like marketing, finance, human resource management and international business as per its syllabus. The course includes seminars, group projects, outdoor activities etc in order to inculcate team working and enhance personality. The knowledge and experience gained through MBA programme do not necessarily lead to achieving fabulous career and highly satisfying life full of joy and happiness. The fact is that unless basic fabric of inner thought patterns, instincts and emotions in life undergo an upward shift, the external targets of highly successful career and inner joy and happiness cannot be achieved. Let us call all the desirable traits as positivities and all the undesirable traits as negativities. Each one of us has within one-self embedded deep in personality large number of positivities and negativities in different proportions. Typical examples of positivities are compassion, integrity, empathy, attentiveness, commitment, equanimity, generosity, discernment, gratitude, hopefulness, humility, kindness, patience, perseverance, serenity, honesty, self reliance, optimism, modesty, discipline etc. Typical examples of negativities are aggressiveness, hatefulness, meanness, revenge, arrogance, unempathy, fanaticism, intolerance, jealousy, immorality, skepticism, conceit, irresponsibility, pessimism, mercilessness, selfishness, violence, boastfulness, rudeness, dependence, destructiveness, inattentiveness, covetousness, laziness, falsity, etc. Positivity can be defined as the quality or state of being positive; something that is positive. Positive here means something that is desirable and leads to good of all concerned. The significance of inculcating positivities is not always fully realized by professionals. In brief we can say that the type of life a person may lead depends totally on the extent to which positivities (and also negativities) are ingrained in his psyche. These are often in the form of instincts, emotions, attitudes, habits and the thought patterns ingrained in the conscious and subconscious minds. Fortunately, it is possible to inculcate more and more positivities and eradicate more and more negativities by personal conscious effort. However, these are deeply ingrained characteristics and may require tremendous effort, patience and perseverance. This aspect is not covered in MBA syllabus and requires personal initiatives and determination on the part of individual. There is no better time to take up the quest of self transformation than during the MBA course. However, once begun this process of self refining must continue as life-long endeavor. Importance and benefits of inculcating positivities must be understood. Positivities help you cope with responsibilities of day to day life with comfort and ease. It leads to strengthening of interpersonal relationships and helps to reduce worry, anxiety and stress, thus leading to enhancement of physical, mental and emotional well-being. It would lead to greater joy and happiness and create more fulfilling life. One is able to inspire others and gain respect of colleagues, superiors, friends and family members. In short it gives you tremendous energy and inner strength to soar very high in life. Positivities lead to healthier people with low probability of heart disease, stroke, diabetes etc. Meditate: Meditation is an extremely powerful technique. There are many techniques of meditation, the simplest being Vipassana meditation. It involves sitting in a comfortable posture, closing your eyes gently and mentally observing the breathing. As you practice meditation on a daily basis, the number of thoughts emanating in your mind would reduce progressively. You would become tranquil and calm and develop mental focus of very high level. With a calm mind, nothing is impossible for you. Practice Gratitude: Most of us ignore what life has given us and we are restless for something which we have not achieved yet. If you start writing the things for which you are grateful, you would be amazed. For example, you have good physical and mental health, you have a decent home, loving and warm interpersonal relationships, good job, opportunity of meeting people and going to fascinating locations etc. There is no need to feel jealous if someone else got the post you were hoping for. Read and reflect ideas from good books: There are large number of very good books which one can read and reflect on ideas there in. These contain wisdom and experience of authors conserved for posterity. It would be foolish not to utilize this resource. Develop habit of journal writing and note at least three positive aspect of your life each day: We gain many experiences during the course of a day. It is always helpful to jot down these experiences for future reference and introspection. Avoid highly negative people: In life we meet many people each day. Some of them carry lot of negativity which is reflected in their behavior and actions. If you stay with them for longer periods, some of those negativities you may ingrain as these are contagious. So, try to stay away from such people as far as possible. Control your thoughts: Thoughts are generated in one’s mind randomly i.e., good and bad all types of thoughts come up from nowhere. One may think we have no control over generation of such thoughts, but it is not so. Whenever a negative thought appears in the mind, consciously introduce positive thought in its place. Over a period of time you would increase the proportion of positive thoughts getting generated in your brain. Use role models and mentors for faster growth: Role models are those people whom you look with awe and would like to emulate. Observe them, read about them and try to explore their thoughts, emotions & habits. Mentors are generally senior people who are willing to help with their own knowledge and experience. It would be naive not to make use of their guidance for self development. Use affirmations to charge your subconscious: Once you have some good ideas which you want to fully ingrain in your subconscious mind, the method is simple. Make some displays in the form of pictures or written statements and put it in places which you are likely to see often. Affirmation involves statements which you tell yourself when you are in calm and relaxed state, so that these go directly in your subconscious mind. The basic principle is that of repetition. When you repeatedly get an idea, subconscious mind gets charged and your behavior gets modified. Take up yoga: Yoga has great power is well known. It provides flexibility & strength to body parts and also leads to calming down of body & mind to such a level that it becomes receptive to new ideas. A restless mind will not be fully receptive. Live in present with mindfulness: Life is lived only in the present moment. Past is gone and cannot be changed. Learn to let go the past as soon as it is gone. Do not carry past grudges, complaints etc. Live with mindfulness i.e., with total participation in the present moment. If you want to live happier life, developing positivity should be your first motto. A happy life can be achieved by growing spiritually, emotionally and mentally. Live with tremendous energy and enthusiasm. Your self confidence would go sky rocketing. In the game of cricket, the aim is to bowl at the wickets and get the batsman out; in soccer the aim is to strike the ball into the net between the goal posts, across the goal line; in basketball the aim is to put the ball inside the basket. Every activity we do is associated with a goal. In fact, goals are important because they give you a definitive path, otherwise we would just be wandering around at random. In the same way, before you start preparing for any test or exam, the first thing you need to think about is – what is your goal? The type of a career you want to pursue is dependent on your goal or goals. As a student it is quite possible at this stage in your career your goals may not be well-defined, but you will definitely have some idea what you want to be or do in the future. What do you want to do with your degree in both the short and long term? Next, you need to analyze your goal/goals. Who or what is your inspiration? Where do you expect your goals to lead you? If you are not able to do this analysis on your own, you need the help of an older person or at least someone knowledgeable you can mentor you. Remember your goals should harmonize with your interests. If you are interested in literature and the arts, it would be a mistake if you decide to be an engineer merely because all your friends are planning to get into engineering colleges. Goals need not necessarily relate to your work or profession. 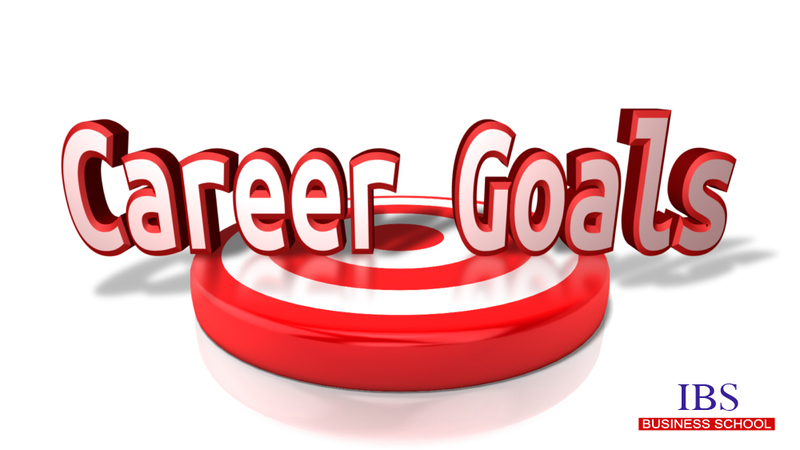 It can also be non-career goals relating to personal or community aspirations. Sometimes your other goals can also turn into a career, such as volunteering work for a social cause can guide you towards working for a non-profit organization. That is why analyzing your goals is so important because it can assist you in formulating the framework of the education you will need in order to pursue your goals. Analysis of goals is not as scary as it sounds. It is one of the easiest tasks in the world and it is fun, as it allows you to dream what you want your future to be like. There is no harm in having more than one goal – because as I said before, at this stage in your life your ideas still have to crystallize and it is possible that your interests will keep shifting. During the course of your education, you need to keep monitoring your progress and adjust your goals to meet your requirements and the direction in which you are heading. There may be days when you may not be satisfied with your progress, but don’t get frustrated. Try new tactics to keep yourself motivated. A little persistence makes an enormous difference. By developing a plan, you are setting definite career goals for yourself. REMEMBER: There is no particular track to reach your career objective. It may keep changing as you go forward. The process may get more complicated and it may take more time than what you had initially planned. Whatever your situation, stay calm and strong. Be flexible and adjust your goals or if needed create an entirely new set of career goals. If your current budget does not support your goals now, you can do something else for a while and then get back to your original goal. For example, if you are unable to do your MBA now, you can work for a couple of years, and then do an executive MBA. There are some exercises that you can do in order to formulate your goals. Write down your goals and then analyze each of them to check if they are Realistic, Pertinent and Appropriate. Do not discard a goal just because you feel it is very hard to achieve. You should be prepared to struggle hard to reach you goals. Fill in the details of each of the goals above – what are your present qualifications and what would you need to do in order to achieve those goals? Self Hypnosis is the Key to Better Life – Learn it now. Everyone wants to be successful in life. Each person desires to be healthy, energetic, stress-free, having warm and loving inter-personal relationships, be prosperous and achieve recognition, status and glory in life. However, in real life most people achieve very little in these aspects. They live life that is stressful, entangled with complex interpersonal relations, lots of frustrations, irritations and anger. The general feeling appears to be that they are suffering due to actions of other people and adverse circumstances. The golden truth is that we all have full control over our lives. We can make our life what we want to make it. There is a small book titled “As a Man Thinketh” by James Allen. The book was written about one hundred years ago and is freely available in PDF format on the net. This book is as relevant today as it was then. The basic message given out by the book is that a person becomes what he or she thinks. The key question that remains is ‘how to generate positive thoughts of health, prosperity, love, joy, happiness and warmth in your mind at all times. Our mind generates thoughts of all kinds at random and we don’t know a system or method to control these thoughts. The truth is that these thoughts are not truly random; rather these are based on beliefs, instincts, emotions and attitudes which are embedded deep in our personality and we don’t know how to modify these. Our mind comprises of two minds. One is conscious mind which allows us to deal with day to day situations that we encounter in external world. Conscious mind operates with a simple logic, analysis and expectations. The other is subconscious mind which is active and awake all the time and it directs our thoughts and actions in external world based on what is programmed into it. The subconscious mind programming starts right from the time of birth. This programming is generated by experiences of various kinds over a long period of time. These experiences are from family members, relations, schools/colleges, media and society etc. During college days as we learn the concept and significance of subconscious mind, we also want to change the embedded programme to our advantage. 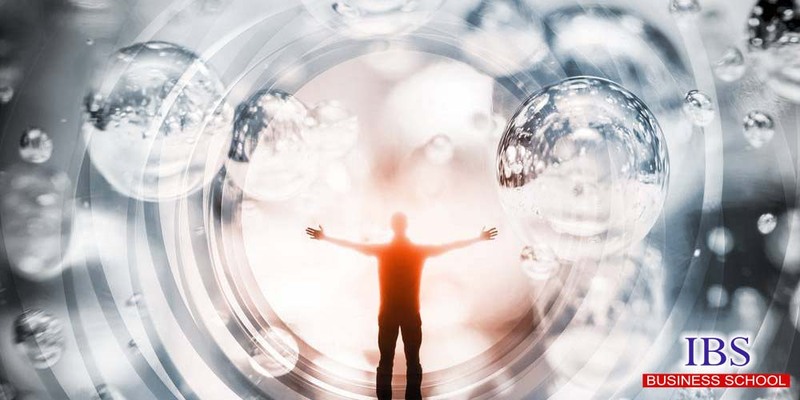 New programming can be done or existing programming modified through the process called ‘hypnosis’ which may be done by hypnotist, guide or self. Hypnosis literally means a procedure in which suggestions are given to subconscious mind during a state of focused awareness. Hypnotic process implies a person in deep quietness and ideas are suggested. Self-hypnosis is a process of hypnosis which is self-induced and it utilizes the concept of auto-suggestion. Self-hypnosis makes one become highly focused with heightened susceptibility. Hypnosis can be put to bad use or good use. When a television advertisement is shown repeatedly, sometimes three or four times in a single commercial break our subconscious mind registers the ideas. Some people use their hypnotic powers to make people do things which those people would normally not do. Thus unscrupulous people enslave the will of other people. It appears that hypnosis is a mystical state which can be used for mind control and brainwashing. Though such negative connotations are observed and displayed in some films, hypnosis is an extremely powerful tool which can be used to overcome psychological, emotional and some physical problems. Let us look at good uses of hypnosis. Psychologists use hypnosis in the treatment of physical, emotional and behavioral problems. Self-hypnosis can be used to modify behavior, emotions and attitudes. One can overcome bad habits like smoking, addictive drinking, overeating and even habitual occurrence of irritation, frustration and anger. Thus it is useful in reducing stress and tension in life. When an idea or image gets impressed on the subconscious mind it eventually manifests itself in real life. Thus, by the power of thought one can achieve any objective in life which is important. One can use self-hypnosis and power of mind to modify limiting beliefs, and be successful and wealthy, develop truly satisfying relationships and acquire sparkling health etc. Tremendous potential of creative abilities can be developed by tapping the subconscious mind. Self-hypnosis is the method of accessing the subconscious mind and charging it with ideas & affirmations need for fulfilling your objectives. The objective may be to become wealthy, lose weight or to quit smoking etc. The subconscious mind works with whatever it is constantly fed from the conscious mind. If a person thinks of ill-health all the time, the subconscious mind will cause to manifest ill-health in his life. Contrary is also true. If a person thinks of sparkling health and tremendous energy all the time, the subconscious mind will manifest these in his life. i) A meditative state in which the mind is totally calm and external thoughts are excluded. This is often achieved by securing a quiet environment providing relaxed posture and body condition and focusing the mind on breathing (as in vipasana meditation) and a mantra i.e. any non-religious word or phrase (as in transcendental meditation). ii) When mind is quietened from external noise and has become free of random thoughts, it is ready for charging of specifically prepared thoughts and ideas. The key word here is repetition. The charging of thoughts and ideas is done through a script which is repeated several times. For best results the practice must be continued for long periods. Create a non-negotiable time slot when you would not be disturbed by another person, telephone or external noise. Sit in a comfortable posture. Put on some soothing light music. Take five deep breaths holding for five to ten seconds each time and slow exhalation. Close your eyes and think each inhalation brings calm and relaxation and each exhalation takes away stress and strain. If the mind wanders bring it back to focus on breathing. Now lie down in a relaxed posture with face up and focus your attention at each part of the body from toe to head progressively. Imagine relaxing all muscles in your body and feel the entire body totally relaxed like an UN-stretched rubber band. Repeat these statements mentally 10 to 15 times slowly, keeping full focus on breathing and the thoughts. Some people make recorded audios in their own voice or in the voice of their teacher or guide. They play the audio and it guides them through the entire procedure. At the end slowly press your eyes with your palms and gradually open your eyes. Self-hypnosis is extremely powerful technique and one can achieve all that is important. While using self-hypnosis to make changes one must do it with enthusiasm and excitement. Select goals which are important to you and are difficult but attainable. Over a period as you achieve your current goals keep raising the bar and aim higher and higher. Know that you are unique and you have all the powers of the universe dormant within you and for you sky is the limit. It does not matter whether you are a student, professional or retired, it is important to understand that self hypnosis is the key to better life, so why procrastinate – Learn it now. To get into something you have to get out of something. Tough all my blogs begin with talking about my personal experience. Let me first take you through a story of a man who is a legend. One afternoon for a regular meeting I was driving on NH18 towards Delhi, bugged with the monotonous songs in my USB, I plugged in to the radio. Tough I am not a target customer of Hindi Speaking media market, still got convinced after hearing Anu Kapoor on air and a minor nostalgia of childhood memories of his show saregamapa, so decided not to change. In his ever same energetic and positive tone, he was narrating a story of a man who is a legend now. Someone who is a legendary actor now with the numerous awards in his kitty was when he was a struggler, after leaving his hometown marine drive was his shelter for endless days. A vetenor director called his voice extremely bad quality and recommended him to get rid of the thought of getting into films. He didn’t buy that, with a do or die attitude he kept auditioning and almost auditioned for over 90-100 films. He managed to get a break with the salary of Rs 500 and today Mr. Bachchan is worshiped for the contribution he has made to the Hindi film industry. Imagine if from Allahabad he would not have managed to abscond and run away from the thought of his dad wanting him to an engineer, we would not know today what Amitabh Bachchan is all about and I am sure there would have been a few more in existence today if they would have managed to escape from the boring regular reality and taken a leap of faith in what they once aspired to be with confidence. We do hear stories from our parents regarding what they wanted to be. My mom tells me her dad didn’t let her study after twelfth class, as in her village that time girls were not allowed to study in college. I asked her back, what if tomorrow i might have the same regret after when i will see myself stuck in the corporate cobweb. Not again, I am out of it and quite much supported by my mom now. But I have agreed to one thing we just can’t be introspecting all the time that how unfit we are in what we are doing currently as this does not get us out to what we want to do. We need to probably think from the prospective of what we want in life and start working towards it. For some, earning lots and lots of money would be the main aim which might give them satisfaction, for some a different job role than what they are doing would be a satisfaction point. One needs to make a choice right. All those people get stuck at one point in career who didn’t plan by choosing the right academics or job role for them and when are actually plotted in a job role which they end up getting they realize where their ultimate happiness lies. Problems are everywhere. There is no story barring Ambani’s and Tata’s which are written without regrets and issues. I am sure they might have a battle they would be fighting in their own manner. We all think that we will simultaneously work on what we want along with our regular work where we do not see ourselves deemed fit in. But that is not what the nature supports. We need to get out of a particular career/course/profession to get into something what we want. I do understand that these decisions are tough to actually incorporate as lot many have loans to pay and lot many have family to look after. But as they say trying to sail two boats together results in sinking of both. We do the best in what we love to do. If someone loves to make clothes, no matter what ever amount of time you make that person spent around embroiders and fabric, he will not feel tired and agitated. But if you make that same person sit in front of laptop and make him do some work he is unfit for, he will end up just looking at the time with every second that passes by. Eventually, if we fit into the space that we enjoy we grow personally and so does the place where we are working. Sooner we realize what we want to see ourselves as, the better it is. It is easier to quit college and get into another stream than dumping a full fledged job and finding way to what we want to be. I see a lot of people in sales, who joined the sales profile with a hope they will be offered marketing profile latter. Today they are stuck in sales for years and if offered the marketing profile they are paid as a fresher irrespective of whatever experience they carry and what money they are paid in past. They are stuck in a choice between money and job role. Obviously, sales profile is paid well as it comes with the tons of pressure. Before making choices in career, it is OK to join the profile of your choice at a lower package than beginning as a fresher latter. As I said, we need to get out of something to get into something and sometimes the bridge between the two can have lots of hurdles. But as its one’s right to work on what we love to and not have regrets latter in future. Take that leap of faith without any second thought. Remember, you do the best in what you are meant for. IBS – Pioneers in Technology-enhanced Learning. All walks of Life is invaded by the technology. Incredible technological revolution has taken place in the last two decades, be it a mobile phone or internet. People have become so dependent on the gadgets that they feel insecure without them irrespective of their age or status. When the technology is ubiquitous, why not the ancient face-to-face teaching on black board be replaced with interactive learning technologies, as the present generation are more tech-savy and participatory. Any subject whether it is science, history, geography or mathematical problem can be taught with the use of technological tools by narrating them in a story with audio-visual, graphics, pictures and text etc. Technology-enabled teaching has been transformed through different stages. Initially, it was through the use of overhead projector, transparency sheets for presenting graphs, text, photographs etc. Then, the magentic tapes and video clippings were used to make students to actually see and understand the concepts. It is mind boggling that a plethora of technological tools are available for teaching today such as emails, online chats, twitter, facebook, social forums, blogs, search engines, video conferencing etc. Faculty can communicate with the student using all these tools, to clear their doubts, monitor their performance, assignments, quizzes, sending reminders, form groups of students for discussions. The Learning Management Systems enabled academic institutions to integrate various learning modalities for making learning personalized and participatory. 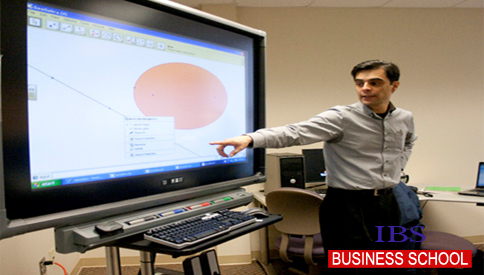 IBS takes pride in being the pioneers among the B-Schools in implementing technology-enhanced learning. IBS has customized Moodle (Modular Object-Oriented Dynamic Learning Environment), an open source Learning Management System (LMS). Quicforce, the IBS Learning Management System (LMS) is a key differentiator among the B-Schools in India. It facilitates faculty to build a dynamic learning environment and online social learning communities through blended learning approach. Blended learning (thoughtful integrating of technology with face-to-face learning) approach to teaching-learning enhances student’s learning experience and improves their learning outcome. IBS LMS: promotes blended teaching-learning process; serves as an integrated platform for content management and delivery, interaction, communication, assessment, grading and reporting; provides an extended and enhanced learning experience to students through the iBooks (interactive courseware) and learning resources and activities created by the faculty; engages students in constructive, collaborative and social learning process; creates a master learning resources pool contributed by faculty members. Faculty share teaching material, lesson presentations, video clippings and audio clippings of the concepts to provide enhanced, extended and flexible learning (anytime and anywhere learning) opportunity to students. Quicforce facilitates formative and summative assessment, grading and feedback. IBS faculties assess student’s performance through online quizzes, participation in discussion forums and individual or group assignments. Group assignments and projects arouse curiosity in the students to explore and experience social learning. Quicforce (http://quicforce.ibsindia.org/) at IBS breaks the monotony and attracts the students focus, foster inquiry and create interest, thereby, stimulating retention. Sessions become more interactive, collaborative and students move from passive reception to active and participatory learning. ‘User First, Brands Second’ services. The brands are all over these services now. But for the most part, these services didn’t do much to bring them. The reach, ease and personalized nature of rewarding customer interaction permit the growing popularity of brands. 79% of the surveyed Indian brands rely on agencies for their social media requirements for implementation and roll out of campaigns, according to the E & Y study. “Brands that want to participate in Twitter need to be committed & be part of the community. This is not advertising” cautions, Paula Drum, VP of marketing at H&R Block. Twitter is essentially a short message communication tool. We are allowed only 140 characters to convey our message to people who subscribe to us. Some companies welcome the challenge, while others find it tricky. It is worth it, however: almost half of the frequent Twitter users follow brands online. It’s a market which a brand can build and nurture. Twitter marketing has impressively increased brand awareness and a loyal customer base of many traditional and upcoming companies. TV Guide, who is well prepared for the crazy pace of breaking news, credits Twitter for quadrupling “to 15mm unique in 2 years”. The Travel Channel doesn’t believe in overloading the readers with irrelevant information. They only publish what they feel will be valuable to their audience. Pop Cap, the company behind the popular game Plants and Zombies, found it best to lose the business lingo on Twitter and show everyone the real people behind the brand. Twitter is invaluable to Dunkin Donuts. Since its brand strategy primarily involves listening to its customers, the social network has made it possible for the brand to collect authentic feedback in real time. A former barista has taken the Twitter helm at Starbucks and steered the brand onto the screens and into the hearts of millions. Brad Nelson uses tools like Twitter Search and Tweetdeck to manage the Twitter load. Tweetdeck shows you everything you need to see at once, be it trending topics, searches or replies. Comcast, on the other hand, acknowledges that the expanded operations are responsible for its good load management. The company has multiple Twitter user ids – @comcastbill, @comcastgeorge and others- to log in at the same time. Choose a username wisely, get an account and fill out the profile section to completion. Provide information about your brand. Who are you? Where can the readers find you? Present a brand story. Use customized visuals. Maintain consistency across all online platforms to aid identification and build trust. Use Twitter’s advanced search to find potential customers who live or work near you. You can subscribe to read what others choose to share by following them on Twitter. The social network can scan your email address book and help you find people who you may want to follow – customers, professional contacts and even competitors. Some of your followers will even follow you back. Note: Twitter has a strict policy against aggressive following so go a little easy on the ‘Follow’ buttons. Now that you have spent some time observing, listening and joining a few conversations, you are comfortable enough to send out a tweet of your own. You are ready to talk. Come up with a communication plan. Strategize your Twitter chats. Promote your business in a way that appeals to your audience. Tweet out discounts and deals to keep your audience hooked. Focus on what they would like to hear. Complement your tweets with photographs and videos to show people what you are up to and what your product can do for them. Be prompt with your replies. These messages are public and, therefore, can help you better engage customers. 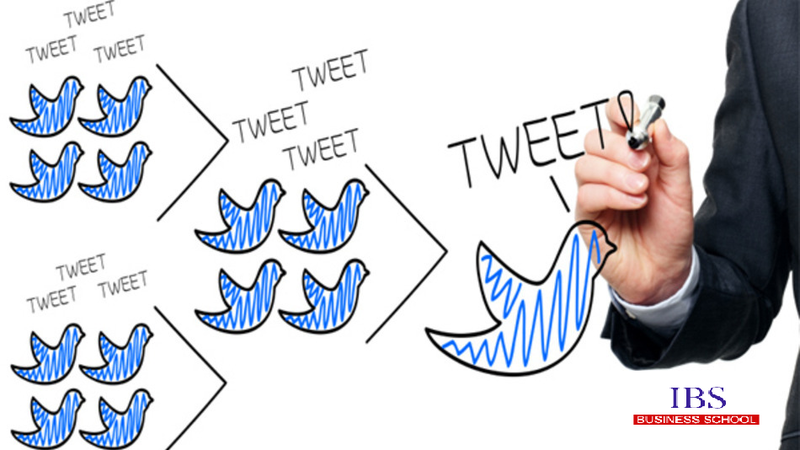 You can use Twitter to drive traffic to your corporate website or blog. You do this by accompanying the links with compelling introductions. Position URLs in the middle of your comments; experts claim this increases the chances of your link being clicked. Twitter tools offer a URL shortening tool, which uses only the first 20 characters of any web address and yet, the end result is a functioning link. This can come handy given the 140 character limit. Place the Twitter Follow and Tweet This buttons on your website and blog. It is important that your readers feel that the content is worthy of a retweet. You can embed tweets into blog posts and you can also share a tweet timeline on your pages for more exposure. Twitter sends push messages to your smart-phone when people mention you, follow you, favorite a tweet, retweet or send you a direct message (DM). You can group your followers using Conversation Lists into customers, potential customers, community businesses, trade organization, etc. Separate timelines will display tweets for each list. You can keep these lists public or private per your choice. A hash sign (#) followed by a unique identifier on Twitter makes up what is called as a Hashtag. This is done to identify by topic or shine light on a particular characteristic of a tweet. The hashtag pulls all the tweets linked with that hashtag into one huge conversation. Use a unique hashtag for your brand. This allows customers to find you, and you to keep tabs on brand-related conversations. You will have to analyze your web presence and performance at regular intervals. Engagement can be adjudged by the number of click-throughs, retweets and favorited tweets. Analytical tools like Buffer and Twitter Reach can provide a more thorough evaluation. Building a Twitter community takes time as does any branding or marketing exercise. You must focus on building trust. Keep your audience engaged and updated on what you are about. Write honest recommendations for your business contacts. Don’t forget to place your brand’s twitter id on all your marketing collaterals. In fact, integrate all marketing attempts so as to retain the same look and feel. Embrace innovation. 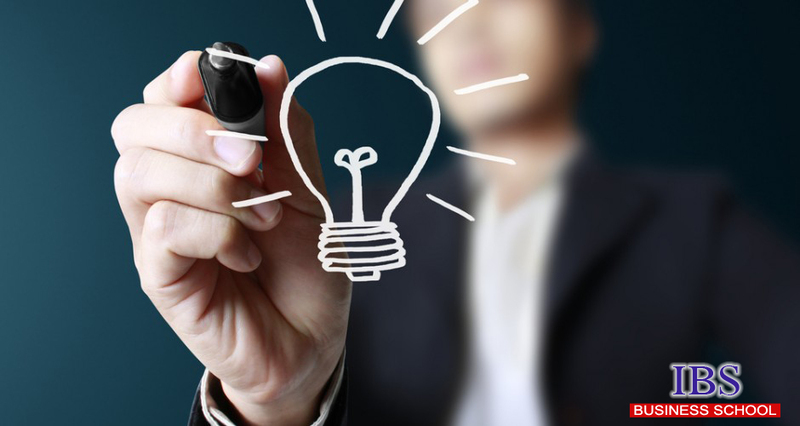 And most importantly, experiment with marketing strategies to get a clearer picture of what works best for your brand. Go forth and tweet away! 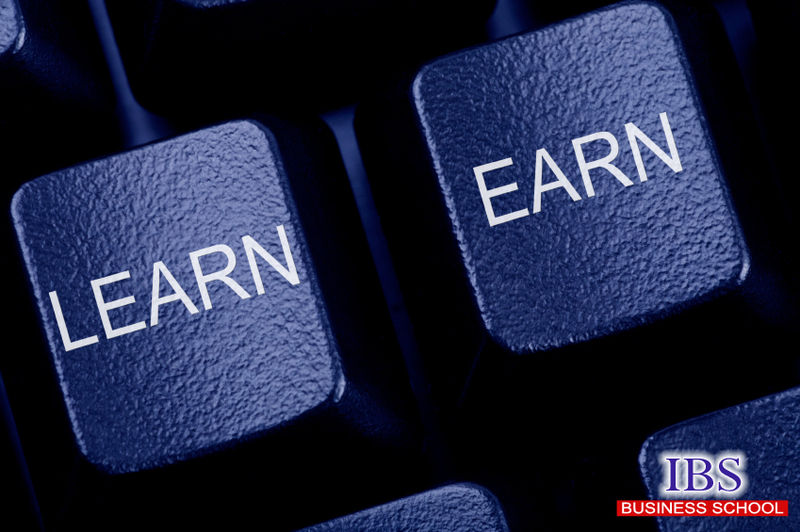 How to earn while you pursuing MBA. Generally it is felt that MBA is a course and need to be spent in studying, understanding the concepts and reading the case studies but this used be in 90’s. Presently the MBA is a dynamic degree and is more practical oriented it’s not the time to just study but two years you can utilize in giving wings to your entrepreneurship, in enhancing your skillset. Generally people do 2 to 3 months internship during the 2 year MBA program but you can utilize the remaining period also in developing skills other than the normal curriculum study. You can also earn while doing your MBA. Many people have started there venture while still in college and by the time the campus placement come they are earning 10 times of what they being offered as the first job salary. You have time during this period to think about some business plans, you can start working towards it doing some research and learn the market dynamics and can start it on a pilot basis and cater to a small market or area and earn money like people have started the concept of chai point in a small area and after seeing its success have scaled it up and open chain of it. You are smart and intelligent in comparison to others why not reap the benefit and earn extra bucks. You can on a personal basis can assist and teach the juniors and earn pocket money and can in a way help your parents by being self dependent as well as it also helps to brush up your concepts. If you have a good writing skill set you can use to and can tie up with publication houses or journals and can provide good stuff and you will gain popularity as well earn a place in the market. It’s also gives an edge by understanding the different subject matter beside your curriculum. It over all will help on saving and save you from the education loan debt burden. You can also apply for new scholarships and grants. A lot of students think that they are only eligible for funding when they initially apply for admission. This is a mistake! There are often new scholarship opportunities for upperclassmen, though they aren’t always widely advertised. You may also be able to apply for external scholarships or grants, which are offered from groups outside of your school .Begin by scoping out bulletin boards on campus and paying careful attention to email announcements. You can also search online for new funding opportunities, and there are apps that you can download for free (or for very little, such as the app Scholly, available for just $.99) that can help you tailor your search. These days colleges have various remunerating schemes they pass on the bonus to the students if there bring the companies to the college. You can also on part time basis assist the placement cell in its various functions. The college bags the project from the corporate in the basis of the quality of the students the college and the inclination of the college towards research. The college can give rewards to students on the basis of his or her contribution in the project. Most campuses have a Career Services office which counsels students on job market possibilities, and which helps prepare them for applying and interviewing as they near graduation. Don’t think, however, that you should only use this resource as a senior. You can often find advertisements for paid internships and part-time work in your field of study at the Career Services office. Finding these opportunities early in your studies will not only help you excel in your field and build up your resume, but can add some much need cash to your wallet while you learn. You can pretty regularly find advertisements for essay contests and scholarly competitions (such as science or engineering competitions) which offer cash prizes for the top performers. Be on the lookout for these opportunities by regularly checking the bulletin boards around campus (begin by looking in academic departments and the library), going through your email carefully, and by going directly to your advisor and/or professors to see if they know of any such competitions for which you may be a good fit. Even if you don’t win, you’ll get experience in your field, make connections, and build up your portfolio or work. One of your biggest expenses may be the cash you have to set aside for textbooks. You can usually get a good chunk of your money back at the end of the term by selling back your books. Campus bookstores will sometimes buy back books, but many campuses also allow independent companies to set up shop at the end of the term. You can also scope out used bookstores in the area to see if they buy used books. To improve your odds of being able to sell a book (or fetch a good price for it), take care of your books throughout the semester, and avoid marking up the pages with notes and highlighters. If you are good with the written word, you should be able to find plenty of opportunities to write (or edit others’ work) online. Search for freelance writing and editing gigs. The rates for these jobs vary: you may be paid by the word, be offered a flat rate for a project, or in some cases can be paid an hourly rate. You typically won’t be able to retain copyright over your work or collect royalties, however. Even so, by doing freelance work you can build a portfolio and make valuable connections which may later pay off with more stable job opportunities. If you know something and being an expert whether in playing piano or dancing or in playing something like boxing or taekwondo or yoga or swimming you can join hand with college and can earn by training and teaching people. You can also join some NGO and can help them in their functioning and can earn an extra income as well as real life experience. Since you have a mass of MBA colleague you can bargain or negotiate with anybody for any goods and services with any supplier or service provider and can save your money as well as your colleague money. Difference between MBA and PGDM. Few months back, one of the readers of my blog on this site had asked me about the difference between MBA degree and PGDM degree. I had then responded to him with a short, concise answer. I am sure students aspiring for MBA colleges must have encountered this question somewhere or other during their research. So, in this article, let me discuss this topic in more depth. Purpose of both MBA and PGDM programs is to shape up your career in the field of management. PGDM or Post Graduate Diploma in Management, as the name says, offers a diploma in management unlike MBA, which gives a Master’s degree in Business Administration. Moment one sees the word ‘diploma’ attached, all hell breaks loose and confusion starts. Thoughts flash. I do not need a diploma degree after a successful Bachelor’s degree or after a corporate stint. A diploma is of lesser value to me. Right? Wrong. 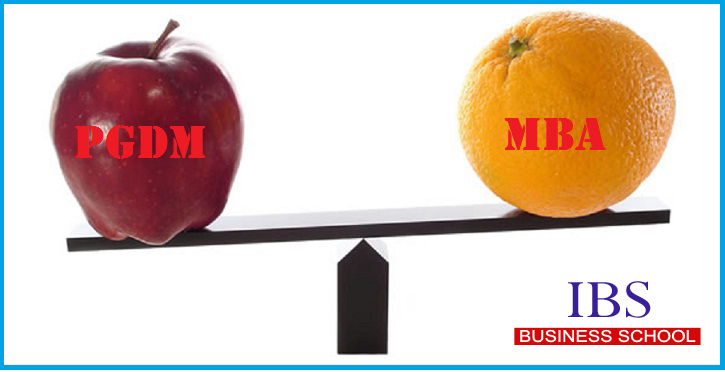 This is the most common myth associated in the debate of MBA vs. PGDM. To give you a clear heads-up, top MBA institutes of India i.e. IIM, IMT, SP Jainand XLRI offer a PGDM degree. And then there are other top institutes like NMIMS, Symbiosis, FMS, and IBS which offer MBA degree. So, where is the difference? In India, a PGDM degree is offered by the autonomous bodies or institutions, which are not affiliated to any university.university is the flagship program across all 13 IIMs. Each IIM is run by an autonomous body and is independent to control its day-to-day operations. However the top management of all IIMs report of the Ministry of HRD in Indian government. XLRI, Jamshedpur is another example which offers the PGDM degree. It is not affiliated to any university but run by an independent board which comprises CXOs of the leading corporate. Now let us look at MBA degree. MBA degree is offered by universities and its affiliated institutions, and these universities are controlled by University Grants Commission (UGC). For example, ICFAI Business School offers MBA degree and is affiliated to ICFAI University. According to the Indian laws, only a university can offer degrees such as MBA, BBA or BE. Any institution which is not affiliated to university cannot offer these degrees. Hence, the major difference between MBA and PGDM degree is the type of affiliation of these colleges. Most of the differences between both degrees are in fact spin-offs of this very distinction. Since PGDM colleges are autonomous institutions, they enjoy certain operational advantages over MBA colleges. One of the differences is in the kind of curriculum and its design. In PGDM, the curriculum is updated more regularly based on the changes in the environment and requirements of the industry. This makes the PGDM courses more competitive and industry oriented. PGDM courses from institutes like IIM, ISB, SP Jain or such top institutes reflect higher brand value and are readily accepted by the industry. What about colleges like FMS, Symbiosis, NMIMS, or IBS? They all offer MBA degree. So, does this mean the syllabus of these colleges is outdated? Answer is No. Technically speaking, a university syllabus changes once every 3 to 5 years. This is because there are a number of institutions affiliated to a particular university. So, if there is more frequent change in the syllabus, there will be time and costs associated with the revision of books and upgrading the faculties. Hence, there is a lesser degree of flexibility involved in the curriculum design of an MBA program. Even though the syllabus of a university affiliate MBA college may not be outdated, chances are that their curriculum may not be in tune with the current needs of the industry. In other words, the syllabus is more technical (and not theoretical) in nature, developing better business knowledge and perspective. However, university affiliated colleges with their experienced faculty and better infrastructure can offer better learning experience to students. This difference in terms of curriculum of both kinds of colleges is a very finer one. It should not be accredited much weightage while choosing a college for yourself. According to the views of Mr. V. Venkataramana, former Dean, School of Management Studies, University of Hyderabad, published in The Hindu, “An MBA is for those who seek a university programme to get a holistic view while the PGDM is for those who seek specialization in the area of their interest.” Therefore, you may find more innovative programs in PGDM colleges. They may offer more choices of innovative electives purely based on a particular industry need. Being more industry-centric, PGDM colleges have more collaboration with the corporate bodies. There is a greater stress on setting up of industry funded groups like incubation centers or entrepreneurship cells or innovation forums. This often leads to a better funding model for these colleges, resulting in better placement and higher average salaries. However, I believe the worth of a student is more dependent upon his skills, capabilities and experience than MBA or PGDM. There could be some differences in the duration of course as well. Many PGDM courses follow a trimester system. A year is split in two to four terms, each term of 2-4 months. For an example, in IMT Ghaziabad which offers PGDM program has four terms in its first year and three terms in its second year. On the other hand, a traditional MBA course consists of two terms or semester in a year, each ranging from 4-6 months. 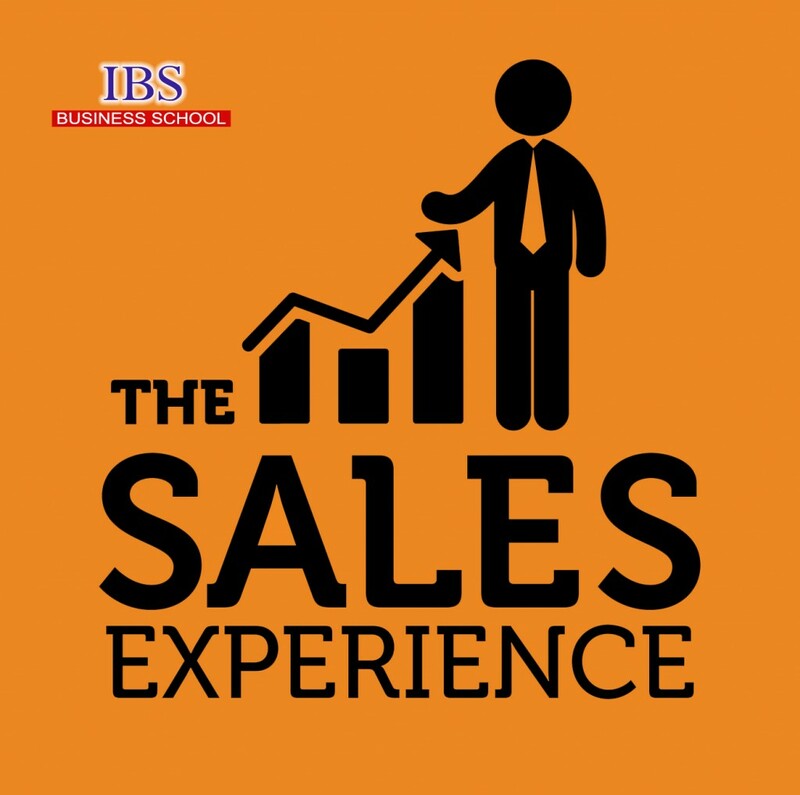 IBS Hyderabad has four semesters in its two-year MBA program, each ranging from 4-5 months. So, Which Carries More Value? Most points of distinction between MBA and PGDM program discussed above are fast getting obliterated in the race to attract best talent and top recruiters. Today most of them are even inconsequential to think about. What matters ultimately is the brand of the business school which enhances your skills, knowledge and career. Next time, when you are deciding between MBA and PGDM, focus more on the ranking of the institute, accreditation, alumni network, reviews of college from its students, exposure, industry collaboration and your choices of subjects and electives. Remember, even the best institutes have its share of worst performing students, and even lower ranked colleges have best performing students in life and corporate. So, it’s your passion, hard work and performance which will eventually decide your future. And least MBA or PGDM. For the new liberalized workforce in India, the impact of words like recession, slowdown, weak economic outlook were alien terms not fully understood. Socialist India was kept insulated (if not insular) by import substitution policies and macroeconomic policies aimed at keeping the broad contours of the economy stable. This is not to suggest that India, prior to the liberalization reforms of the 90’s was a beacon of stability. Crisis after crisis, often global in nature routinely struck the nation from independence till the 1990’s. Remarkably all these crises were dealt with a remarkable myopic view which paved the way for the worst ‘shock’ of 1991 when the conflict in Iraq flared up along with oil prices. Post the ‘liberating’ Liberalization reforms of 1991, the Indian economy became fully integrated with the world economy. The software boom, whose seeds were sown in the late eighties was the recipient of a large pool of qualified engineers at a very cheap price. Multinationals entered the country primarily in IT, ITES and in manufacturing. The number of engineering colleges across the country soared, and with it the MBA colleges followed suit. The problem with any economy being too closely aligned with the world economy in general and the US economy in particular (as was the case with the Indian economic boom, in which the middle class participated in the boom led by start-ups in the IT industry), is that any slowdown, recession or worse, a depression in the world economy (or the US economy) will have significant linkages-these linkages will be strong enough to stall growth and affect employment. If the 1990’s saw a heady growth in almost all industries and sectors across the country-primarily in real estate which was driven by new found IT wealth in the form of generous stock options and higher salaries to the middle class which simply flocked to the realtors with their surplus savings. As the US economy grew, albeit at a pace and rate slower than the previous decades, American companies increased spending on services which were offered by India and Indian companies primarily in IT, ITES and BPO. Unknown to all, the US was heading towards an Armageddon of infinite proportions. The US banking and financial services industry was in the midst of a severe whirlpool of bad debts and stuck in a quagmire of financial instruments often knows as ‘financial weapons of mass destruction’. The financial ‘meltdown’ so to speak, was long in the coming, but a gradual slowdown in the US economy hurt India in more ways than one can imagine. The reduced spending on budgets meant narrower margins for the firms servicing US clients in India. Combined with the immense competition among all the companies based in India to serve the US customers, this resulted in severe pressures on earnings (Infosys is a case in point). Finally on that fateful day in September 2008, the unthinkable happened. Lehman Brothers, which had weathered every recession and economic downturn filed for bankruptcy. The ensuing weeks and months saw many marquee names lining up for Federal government support. While, we in India had to update our lexicons which had to keep pace with the new harsh reality-Recession and Global Economic Meltdown. The slowdown in the US based on a few financial instruments had a rippling effect on all sectors, and India’s most sensitive sector-Banking was not spared either. For students of MBA or for that matter for any batch of students passing out in such a year would be traumatic. 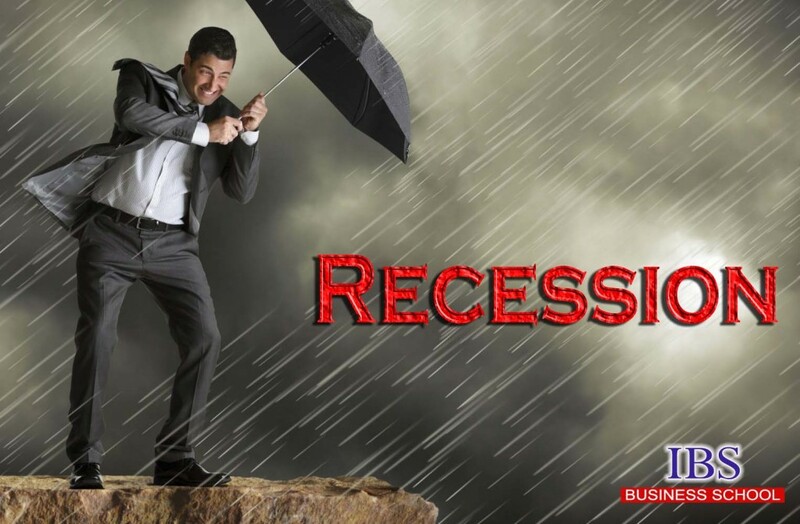 How then should the average Joe deal with a recession in India? Though not adopted by Indian companies wholeheartedly, layoffs have become common. For starters, it helps in preparing ourselves for the worst. Invariably the economy is usually cyclical, and the bad times won’t last. Companies, when they look to fire employees, look for the ones who have are the most vulnerable-the ones who have performed the worst in the past years, or those in need of a so called ‘Performance improvement Plan’. In case of these external situations, it always helps to pull up our socks and get to work right away. No company will fire a valuable employee, it is the departments and people whom the company carried in the hope of a better future performance will be sacrificed. It is important to ensure our performance is always upto the mark, and if it is not, it must be followed by introspection so as to find out the probable causes. One of the most important things which differentiate any employee who rises fast as opposed to people struggling, is skills. Skills are not taught officially or formally, not even in the MBA! Skills have to be developed by us constantly through research and updating ourselves with the latest on goings in every field, not only the ones in which we are working in. Skill development not includes or calls for further formal education or getting more degrees. It calls for all individuals to constantly update their knowledge bank, and pushes us all to go in for new jobs and new companies in which we interact with new people and most importantly learn new things. MBA’s are groomed for all sectors of the economy and we must take full use of this. When the going is good, we are usually complacent in our jobs and don’t move out as frequently as we should. Networking, often misconstrued, is one of the tools which help us stay in touch with people from different backgrounds and industries-it is these contacts or their knowledge which helps us overcome difficult times. As MBA’s we are taught a variety of subjects as well as the course calls for a grueling phase of assignments. it is these sessions and our preparations which will stand in good stead for us during our own bad times. We, as MBA’s who have not only got the degree in letter but also in spirit must realize and understand the cyclical rough patches in the economy call for our ingenuity in resolving and facing these crises. The faster we understand and identify our failings, the better it is for us, in the long run. Contributed By : Sunil Iyer ( Class of 2008, IBS Gurgaon).